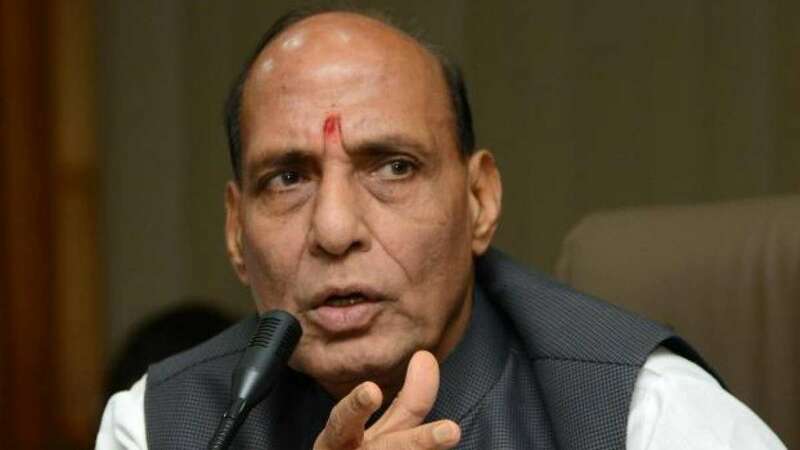 New Delhi : Union Home Minister Rajnath Singh on Tuesday held a security review meeting in the wake of a terror attack on Amarnath pilgrims in Kashmir that left seven persons dead on Monday evening. The meeting was called to look into possible security lapses that may have led to the attack on a bus that was carrying pilgrims from Gujarat. Sources said National Security Advisor Ajit Doval, top Home Ministry, intelligence and paramilitary force officials attended the meeting to take stock of the situation in Jammu and Kashmir. The attack also left 19 people injured on Monday when militants fired at the bus in south Kashmir's Anantnag district, police said. Meanwhile, senior Home Ministry officials were expected to visit Kashmir on Tuesday. They include Minister of State for Home Hansraj Ahir and Joint Secretary, Kashmir, Gyaneshwar Kumar.